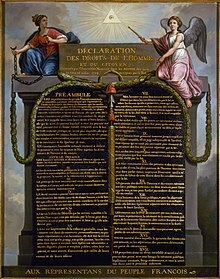 Not all nation states have codified constitutions, though all such states have a jus commune, or law of the land, that may consist of a variety of imperative and consensual rules. These may include customary law, conventions, statutory law, judge-made law, or international rules and norms. Constitutional law deals with the fundamental principles by which the government exercises its authority. In some instances, these principles grant specific powers to the government, such as the power to tax and spend for the welfare of the population. Other times, constitutional principles act to place limits on what the government can do, such as prohibiting the arrest of an individual without sufficient cause. In most nations, including the United States, constitutional law is based on the text of a document ratified at the time the nation came into being. Some constitutions rely heavily on unwritten rules known as constitutional conventions; their status within constitutional law varies, and the terms of conventions are in some cases strongly contested. Learn More About 1L Success™ Products at www.1LSuccess.com!